Gone are the days when you needed to pore over a 400-page physics textbook to learn about weight ratios, aerodynamics, and all of those other STEM concepts that let us take to the skies. Thanks to Force Flyers' DIY Building Block Drones, you can foster your STEM knowledge as you build and fly your own functional drone. You can get one on sale today for $42.99. 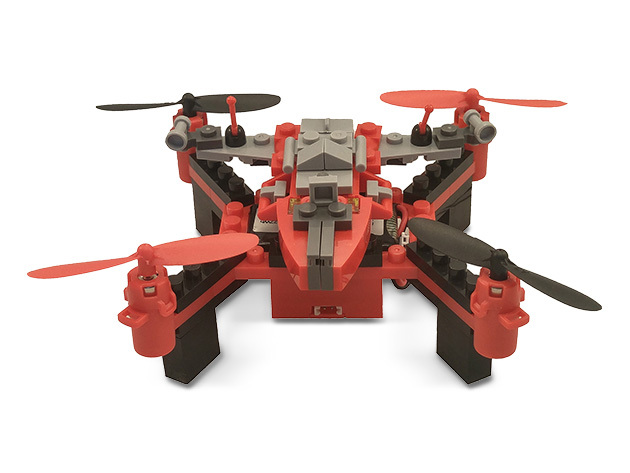 Compatible with your favorite toy building blocks, these DIY drone packs have you experiment with STEM concepts as you create and customize your own flying or driving machine. The drones boast a responsive 6-axis gyro, giving you enhanced control, and they're even capable of executing 360° stunt flips. Plus, with auto-stabilization and a durable ABS plastic construction, these kits are a safe pick for novice pilots. Force Flyers' DIY Building Block Drone packs come in a variety of styles, like police, army, and firefighter, and they're all on sale today for $42.99 each.